IT’S HATS BACK ON IN TERM 3 EVERYBODY!! This entry was posted in Newsletters, Whole School Events and tagged Events, newsletters on July 8, 2018 by meganclg. 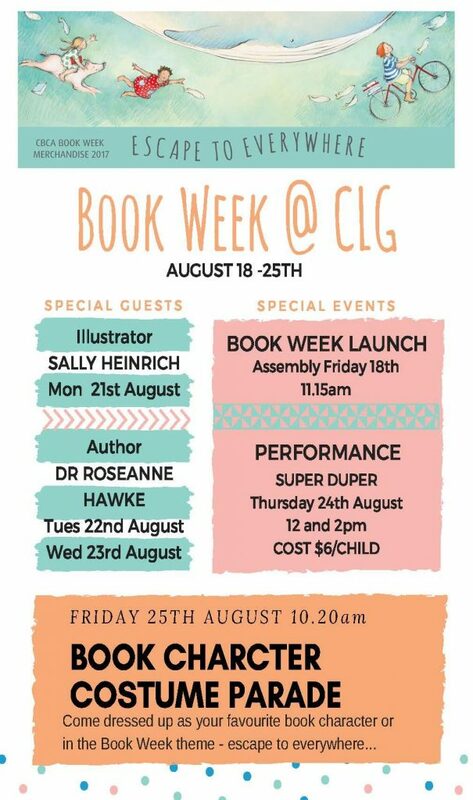 This entry was posted in Previous Posts, Whole School Events and tagged Events on August 9, 2017 by clgpschool. 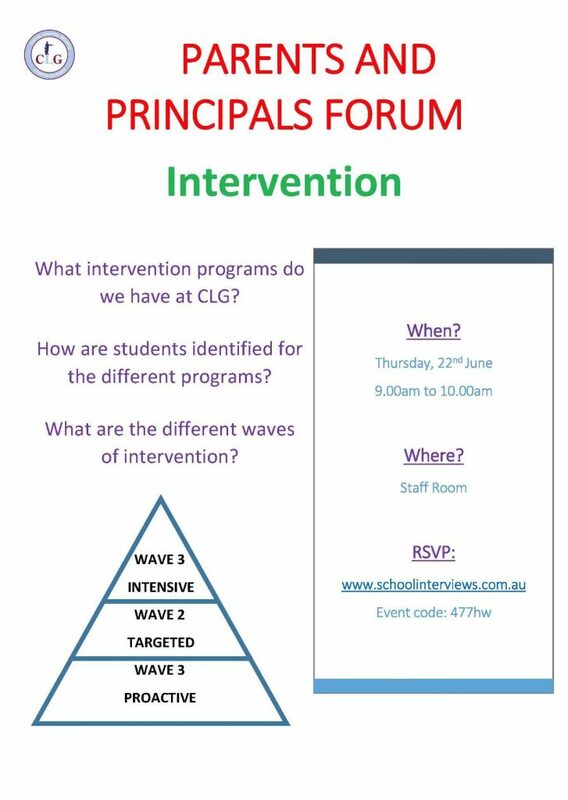 TODAYS PARENT & PRINCIPAL FORUM COMMENCES @ 9am!! This entry was posted in Previous Posts and tagged Events on June 21, 2017 by clgpschool. 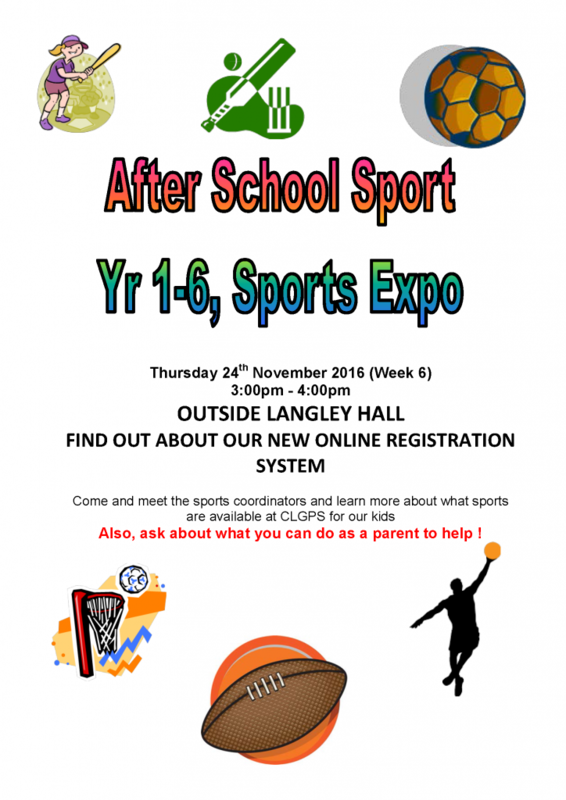 This entry was posted in Newsletters, Previous Posts, Sporting & Sapsasa Events and tagged AFTER HOURS SPORTS, Events, newsletters on November 23, 2016 by clgpschool. ALL ORDERS MUST BE IN BY 12 NOON, WEDNESDAY 21ST SEPTEMBER TO AVOID DISAPPOINTMENT. LATE ORDERS CANNOT BE ACCEPTED. NORMAL MENU ITEMS WILL BE AVAILABLE ON THE DAY. This entry was posted in CANTEEN, Previous Posts, Whole School Events and tagged CANTEEN, Events on September 16, 2016 by clgpschool. This entry was posted in Previous Posts and tagged downloadable forms, Events on April 8, 2016 by clgpschool. Don’t forget Family Picnic tomorrow night, 5 – 8pm. Come for a great family/ friend outing and enjoy the last of the Day Light Savings. Buy your tokens early by the flagpole $2 each after school and morning at the Hall kitchen. They will be available on the night as well. Get in early then you won’t have to queue up. This entry was posted in Whole School Events and tagged Events, fundraising on March 10, 2016 by clgpschool. Come down at 5pm and have dinner with family and friends. Facebook – like COLONEL LIGHT GARDENS PRIMARY SCHOOL fundraising page to keep up to date with what we are doing! This entry was posted in Previous Posts and tagged Events on December 2, 2015 by clgpschool.